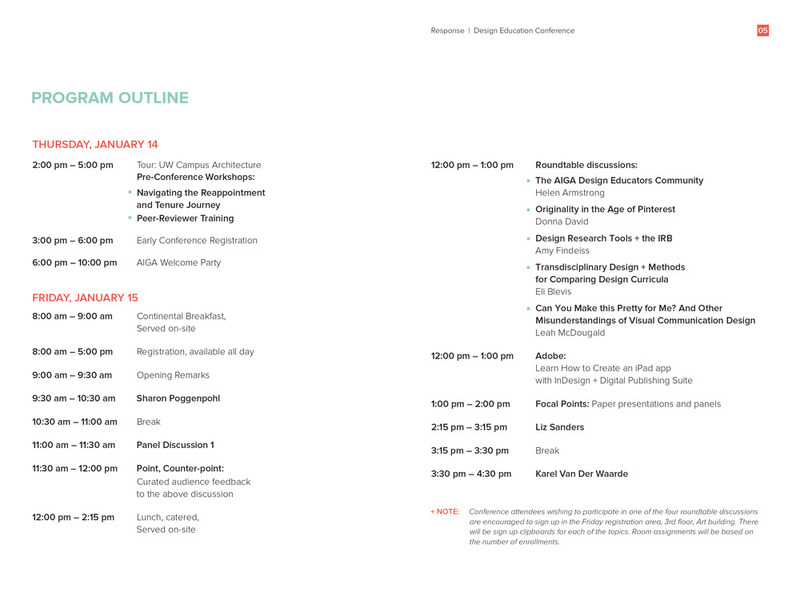 Create a visual identity for a design conference. The conference theme will be of your choosing. Your solution will be purely typographic, utilizing various levels of typography. 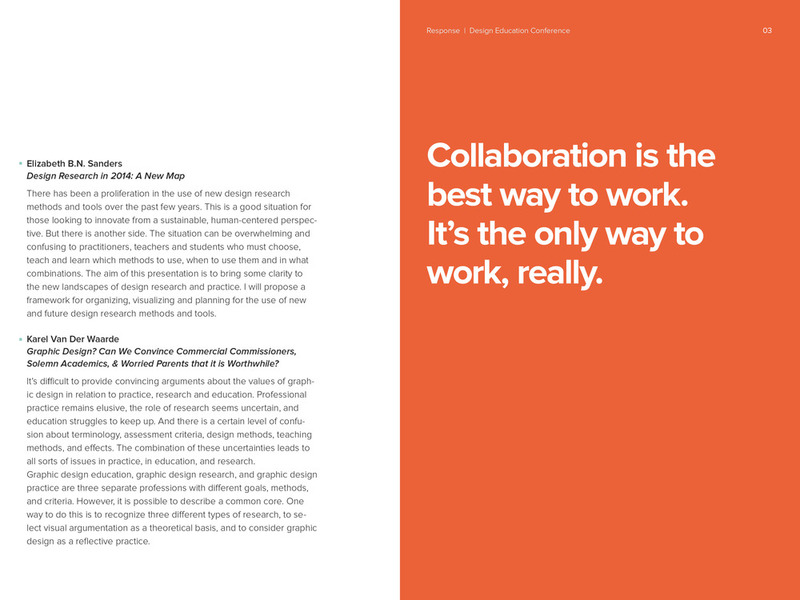 It is essential you demonstrate rigorous attention to typographic detail across all components paying close attention to typesetting, legibility, readability and hierarchy. 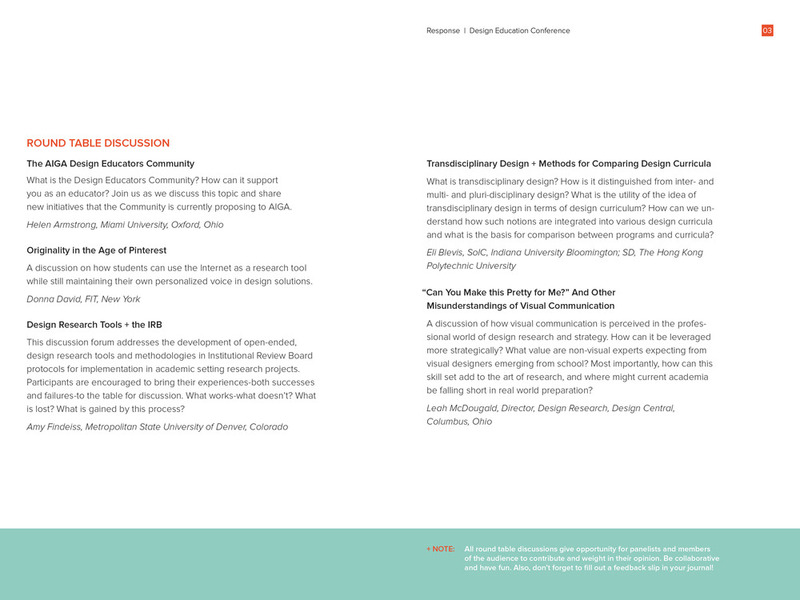 My conference was called Response, and it was a Design Education Conference that focused on response website design. The event also focused on giving back ones response to current design topics and having a collaborative discussion on these issues. 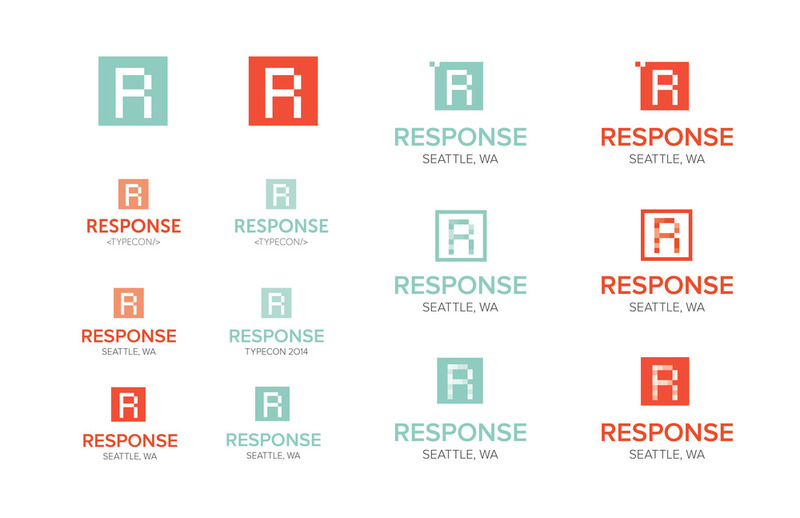 I wanted my design materials to reflect the idea of "responsive design." I did this by creating three buttons (small, medium and large) to convey the idea of designing for different sized mediums (cell phones, ipads, computers). I also created a “response” notebook, where you could jot down your thoughts and the overall experience you had at a panel, rip it out of your journal, and slip it into an event box. This gives the audience a chance to give their response back on a specific panel or event. Lastly, I also created a responsive website and app. For my overall brand, I used pixels as my graphic element to relate back to the idea of responsive web design. This relates to the idea that designers have to work in pixels when creating responsive websites and similar types of materials. I also created my logo so that it would be flexible in use, meaning it can be stacked vertically, horizontally, or just as a simple icon.